The NBA’s trip to Israel—sponsored by Sheldon Adelson—raises questions for players who aligned themselves with the #BlackLivesMatter movement. EDITOR’S NOTE: Several major media outlets including the Israeli newspaper Haaretz and Politico reported that NBA player Rudy Gay traveled to Israel this week along with seven other NBA players. Mr. Gay, however, ended up not boarding Sheldon Adelson's plane and we have put out a call to find out why. The trip however has proceeded with players like Sacramento Kings teammate Demarcus Cousins, Chandler Parsons, Caron Butler, Iman Shumpert, Alan Anderson, and the trip's organizer Omri Casspi. Although Rudy Gay was not among the players, as was widely reported, I still hope this letter finds him and he can talk to his teammates upon their return. Hey. We met once and had a solid, if brief talk about Baltimore, so here’s hoping you remember and this letter finds you well. I also hope you’re enjoying your summer trip as part of a delegation of eight NBA players traveling to Israel, organized largely by your Israeli teammate on the Sacramento Kings, Omri Casspi. It is a remarkable part of the world, and will be nothing if not an education. Yet there is something about this trip that I have to assume you were not made aware. 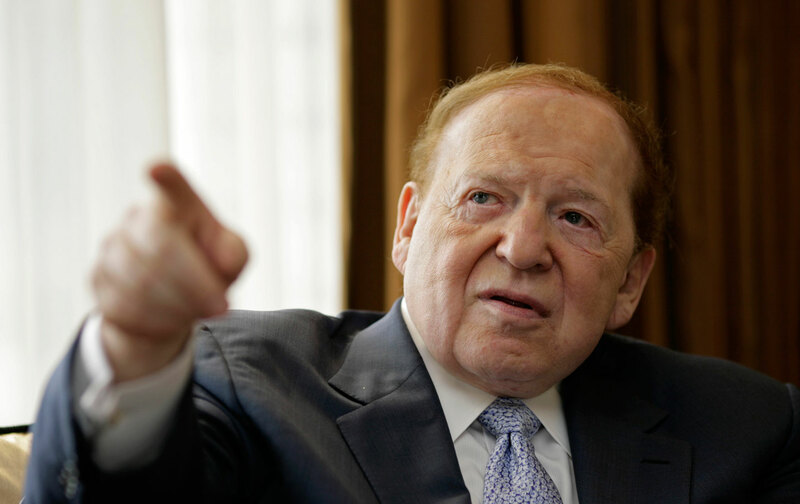 Yet Adelson is best known for financially propping up the hard right wing of the Israeli government, and calling for the dropping of an atomic bomb on Iran. Given his power, this is a threat that actually has weight. Adelson no doubt loves the symmetry of sponsoring a group of stars exactly one year from the Gaza bombings that claimed over 2,100 Palestinian lives, a death toll almost entirely made up of civilians. That’s how he rolls. I’m sure you also know that this was not an NBA Cares function aimed to promote peace and understanding—even though they have apparently organized events as part of this trip—but something else entirely. As has been widely reported, your delegation was organized by Omri Casspi as part of a campaign to fight Israel’s increasing isolation as the result of the Boycott Divestment and Sanctions movement aimed at fighting Israeli human-rights violations in the Palestinian territories, as outlined by the United Nations. Casspi is entitled to his politics, of course, and he is hardly shy, as demonstrated when he publicly scolded fellow NBA player Dwight Howard last year for tweeting “Free Palestine” as the bombs dropped on Gaza. To be clear: It would be insulting to assume that you or most of the players on that plane did not thoroughly vet the aims of this trip and the money behind it before you signed up. It is also insulting to assume that Omri Casspi would mislead any of you about his motives. But there is another aspect of this trip—less obvious and less apparent—that you should take pains to consider upon returning home. On December 12, you were one of several Sacramento Kings players to wear an “I Can’t Breathe” shirt during warm-ups. The shirts were worn to commemorate the last words of Staten Island’s Eric Garner and protest his death at the hands of the New York Police Department. It was a brave act, a link in a chain, which aligned some of the NBA’s biggest stars with the #BlackLivesMatter movement. Of course, lethal police brutality has been directed at black Americans for as long as there have been police. But the #BlackLivesMatter movement has emerged out of a dramatic spike in this violence. Roughly 400 people were shot and killed by police over the first five months of 2015, according to a Washington Post analysis. That is more than twice the average of the past decade. Those killed are primarily black and brown, as police departments have outfitted themselves in military fashion. Finding justice for those killed has proven to be a near impossible task. This epidemic of killings has been aggravated by the influence of Israeli police practices on US policing. Since 9/11, police chiefs and high-ranking officers from across the United States—from Ferguson to New York City—have traveled to Israel for training in the arts of suppression. As Ali Winston reported, “[a]t least 300” chiefs from across the country have gone to Israel for these workshops. Former US Capitol Police Chief Terrance W. Gainer called Israel “the Harvard of antiterrorism” after one all-expenses-paid trip. The NYPD, which took the life of Eric Garner and broke the leg of NBA player Thabo Sefolosha, now has an office in Tel Aviv. Since 9/11, Israel has turned its repressive capabilities into an exportable commodity. It instructs on surveillance, crowd control tactics, and psychological operations like keeping lights on police cars at all times. It’s these kinds of tactics that provoked thousands of Ethiopian Jews to protest police brutality in Israel this year under the banner of #BlackLivesMatter, only to be met with tear gas. Out of the terror directed against us—from numerous attacks on Black life to Israel’s brutal war on Gaza and chokehold on the West Bank—strengthened resilience and joint-struggle have emerged between our movements.… A delegation of Palestinian students visited Black organizers in St. Louis, Atlanta, Detroit and more last November, just months before the Dream Defenders took representatives of Black Lives Matter, Ferguson, and other racial justice groups to Palestine. Throughout the year, Palestinians sent Black protesters multiple letters of solidarity. We offer this statement to continue the conversation between our movements. Omri Casspi is by all accounts a great teammate and friend. But his country’s policing practices are going global and jeopardizing the safety of communities that you have pledged to defend. Here is hoping you read this and here is hoping you return home clear that everything you stand for, everything that compelled you to wear that shirt on December 12 for Eric Garner, puts you on the other side of the barricades of Sheldon Adelson. UPDATE, 7/28/2015: I spoke to Rudy Gay’s Agent Alex Saratsis. He was very upset that it had been widely disseminated that Rudy Gay was a part of delegation. He made clear that Rudy Gay had been asked. He did not give a reason why Rudy Gay did not make the trip.